TecAlliance is now present in Mexico as an important step in the internationalisation and expansion of TecAlliance business activities in Latin America. 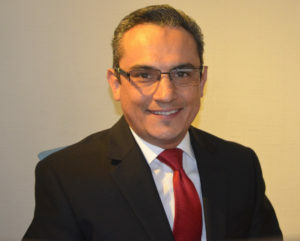 Fernando Murguia, Regional Sales Director México, and his employees moved into the new office in the north of Mexico City in July 2016. The modern premises are an ideal setting for serving the Mexican market, which is of great strategic importance due to its 30 million cars and commercial vehicles and more than 370 parts manufacturers in the independent spare parts market. ‘We cordially invite all of our customers and partners to visit our new offices! We are delighted to be in close contact with all market participants, to exchange information with them and to work together to push forward the optimisation of the entire value chain in Mexico,’ explains Murguia. The TecDoc Catalogue is currently being introduced as a standard for the independent auto spare parts market in Mexico and has been adapted specifically to suit local needs. The particular challenge consists in processing the varied formats for data coding used by parts manufacturers from North America and Asia.